Why is this pattern of stars repeated in monuments throughout the ancient world? Why did ancient man consider Orion as one of the most prominent constellations in the sky? Orion has been crucial to ancient man in the past, and these long-lost civilizations paid tribute to the gods of Orion by constructing incredible monuments and placing them in specific locations on Earth mimicking the sky. 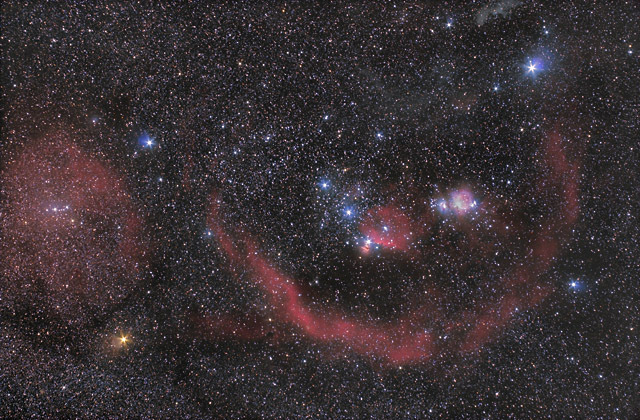 The constellation of Orion by Scott Rosen Astrophotography. The Orion constellation is one of the most prominent star formations in the night sky and is one of the most famous constellations today, easily identified in the clear night sky. It is named after the Greek demigod Orion in the 8th century B.C. When you connect the stars; they form the head, shoulders, belt, and feet of a man. The three principal stars in the constellation are Alnilam, Alnitak, and Mintaka which form the belt stars of Orion. According to Greek mythology, Orion was a giant huntsman whom Zeus placed among the stars as the constellation of Orion. Ancient sources tell several different stories about Orion; there are two major versions of his birth and several versions of his death. The most important recorded episodes are his birth somewhere in Boeotia, his visit to Chios where he met Merope and was blinded by her father, Oenopion, the recovery of his sight at Lemnos, his hunting with Artemis on Crete, his death by the bow of Artemis or the sting of the giant scorpion which became Scorpio, and his elevation to the heavens. Most ancient sources omit some of these episodes and several tell only one. Egyptian mythology actually suggests that the gods descended from the belt stars of Orion and Sirius and they believed that from Sirius and Orion came beings in the form of humans, they called them Osiris and Isis, and it was them who actually instigated the human race. Sirius and Orion are perhaps one of the most important constellations in the night sky, not only for the Greeks and Egyptians but also for other ancient civilizations in Babylonia, South and Central America and even for Native American tribes in North America. Is it just a coincidence that the placement of some of the most important monuments on Earth appears to be accurately placed to mimic Orion’s belt in the sky? How could there be similar structures pointing to Orion built by civilizations located thousands of kilometers apart, who according to modern day scholars were not connected in any way? Is this an incredible cosmic coincidence? Or is there an otherworldly connection to this phenomenon, phenomena that could clarify our very own origins. 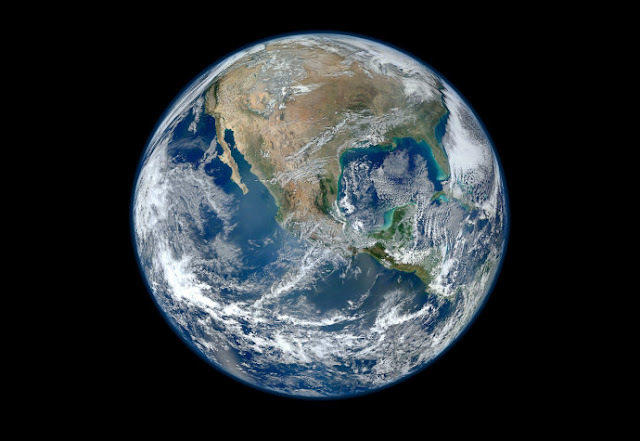 The Aztecs, Maya, Ancient Egyptians, and other ancient civilizations point towards Orion. The ancient Egyptians linked Osiris with creation, and some researchers believe that Osiris and Orion are actually the same phenomena. In Egypt, pyramid texts discovered that were carved into the walls of pyramids dating back to 2400 B.C. speak of Egyptian pharaoh Unas who ruled for 30 years and finally making his final voyage to the star system Orion. According to some historians, it has been identified as the Biblical star Mazzaroth and the Dogon tribe in the Sahara desert have held this star among their most precious locations in the sky, but it is in Ancient Egypt where we find a vast history about this binary system (What the naked eye perceives as a single star is actually a binary star system, consisting of a white main-sequence star of spectral type A1V, termed Sirius A, and a faint white dwarf companion of spectral type DA2, called Sirius B. The distance separating Sirius A from its companion varies between 8.2 and 31.5 AU). In ancient Egyptian mythology, Hathor was closely connected and identified to Sirius but then again so was Isis. The Descending Passage pointed to the pole star Alpha Draconis, circa 2170-2144 BCE. This was the North Star at that point in time. No other star has aligned with the passage since then. The southern shaft in the King’s Chamber pointed to the star Al Nitak (Zeta Orionis) in the constellation Orion, circa 2450 BCE. And as we mentioned before, the Orion constellation was associated with the Egyptian god Osiris. No other star aligned with this shaft during that time in history. 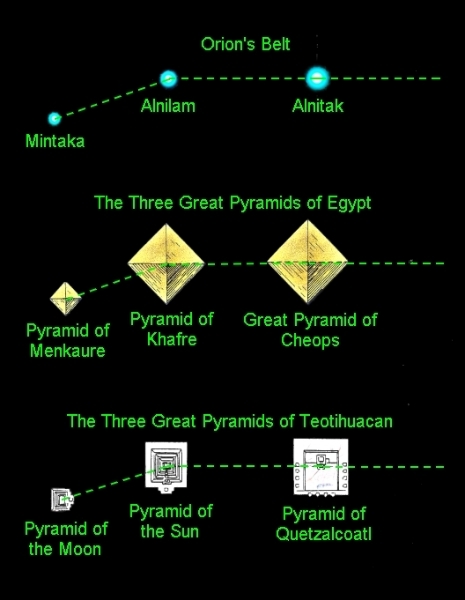 The apex of the Pyramid corresponds to the geographical pole, while the perimeter of the Pyramid corresponds to the equator, both in proper scale. Each flat face of the Pyramid was designed to represent one curved quarter of the northern hemisphere (a spherical quadrant of 90°). Sirius is also ancient Egypt’s inspiration for one of its first Calendars. In the Egyptian Sirius calendar, the year began with the helical rising of Sirius. The true companion-star of Sirius, Sirius B, is made of super-dense matter which is heavier than any normal matter in the universe and the weight of this tiny star is the same as that of a gigantic normal star. It is absorbing that the Babylonians describe Orion both as a constellation and a supreme being, and he is referred to as the “Loyal Shepherd of Heaven” They called the constellation of Orion “Sipazi Ana” which some researchers translate as “the shepherd of Anu” or “the shepherd of Heaven” because Anu was seen as the god of Heaven. The Babylonian star catalogs describe the precise movements of various celestial bodies, and according to some researchers, these clay tablets provide proof that the ancient civilization of Babylon obtained celestial knowledge from star travelers, extraterrestrial beings that came to Earth in the remote past. The Babylonian star catalogs are a collection of information with extremely accurate mathematical equations and more importantly, the distance between planets and archaeologists and researchers are baffled and cannot answer the question how a civilization in the past could have had this kind of knowledge.